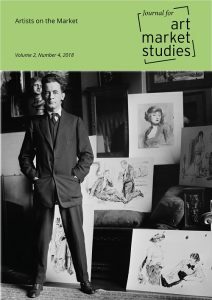 The Journal for Art Market Studies (JAMS) is a peer-reviewed open-access journal for current international research on the art market of all periods. 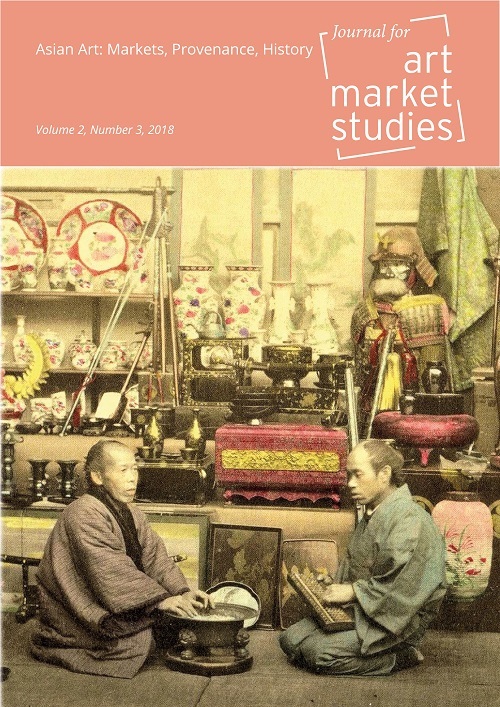 The articles are published in English. American artist James Montgomery Flagg (1877-1960) with some of his artwork: George Grantham Bain Collection (Library of Congress) [Public domain], via Wikimedia Commons. Design: Amichai Green Grafik. 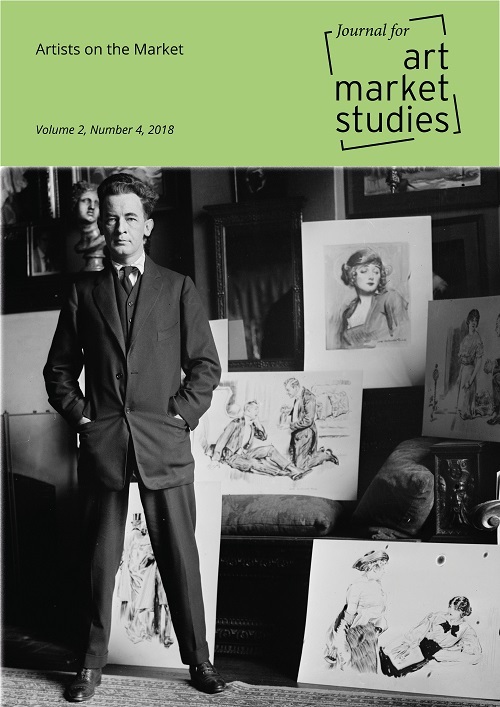 The latest issue of the Journal for Art Market Studies „Artists on the Market“ is devoted to the strategies of artists operating on the art market. Offering a range of examples from the 19th Century to the present, the issue investigates the respective strategies and ranges of action available between artistic freedom and financial success.